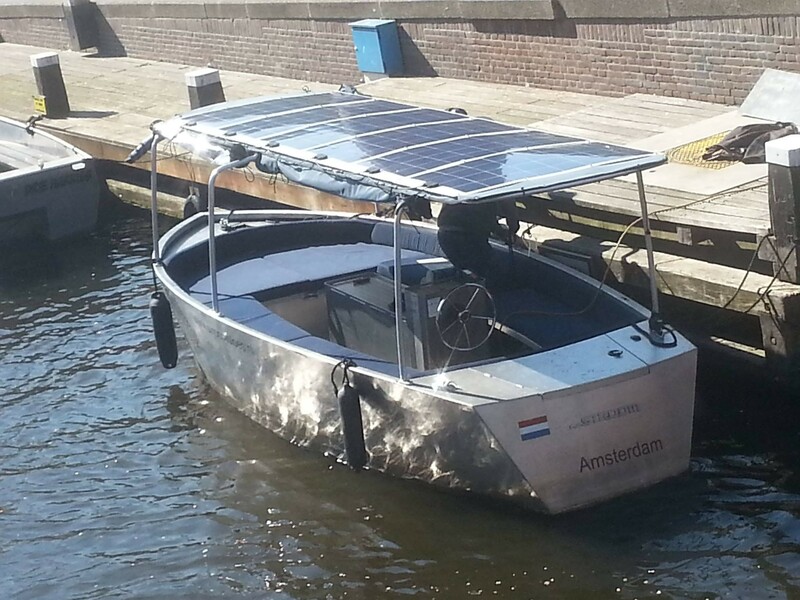 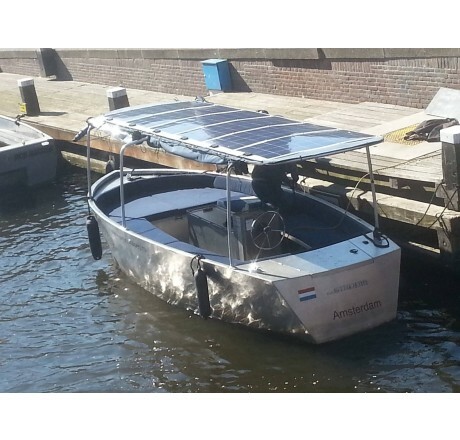 The Radius is an aluminum boat that is 100% powered by solar panels mounted on the boat. 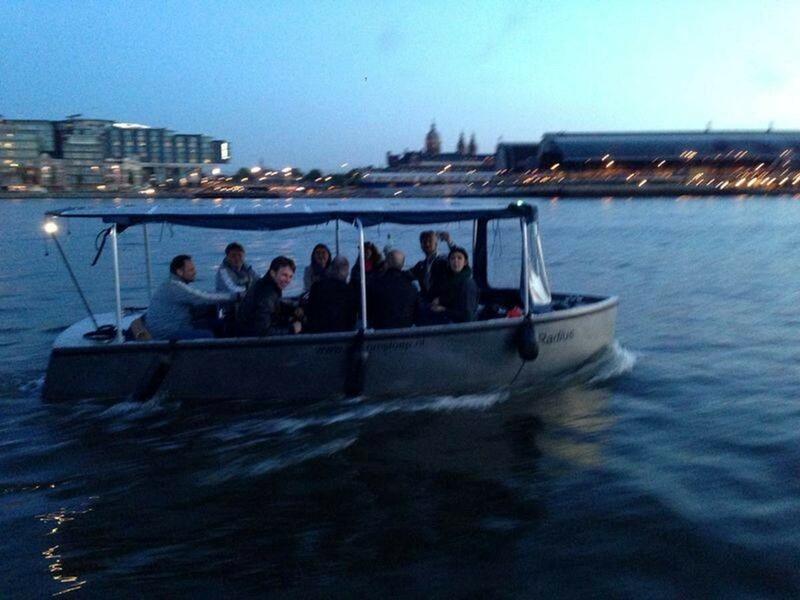 The Radius offers spacious and comfortable seating up to 11 passengers. 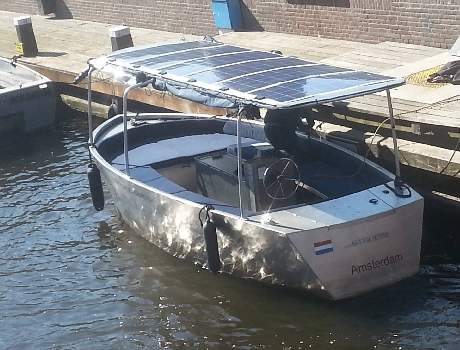 By equipping the boat with a round seat and a table in the middle the boat has a cozy atmosphere that invites you to while enjoying a snack and drink take you along the canals of Amsterdam or even the outskirts of Amsterdam.